There seems to be a lot of curiosity surrounding the new holiday attractions in Allentown this season and with the tradition of Lights in the Parkway being absent there are big shoes to fill! 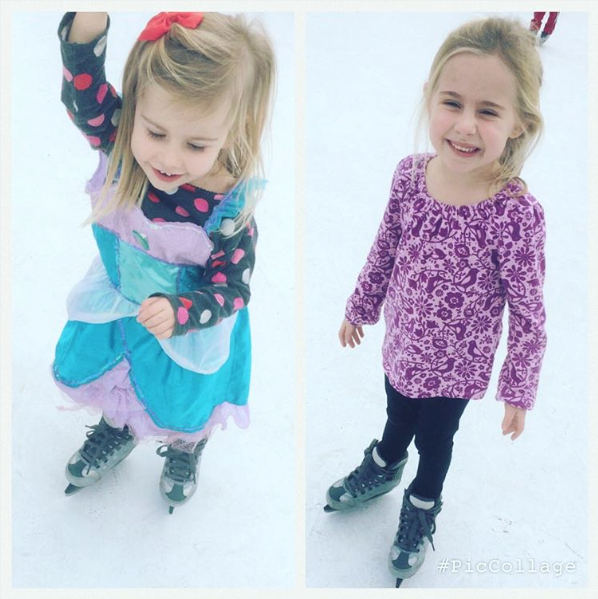 We checked out the synthetic Ice Skating Rink at Cedar Beach this past weekend twice (sans coats! woop!) and thought we'd share what you should know! For the Littles : The smallest skate rental is a size 9 (toddler) which for our tiny 3 year old was a tad big but we were certainly able to make it work without a problem. The "skating" looks a little more like a graceful walk with a bit of a slide, but its certainly a great introduction to skating and our kids were asking to go back again the next day! Ages: I would recommend a minimum of age 3 would be able to easily skate, there were children of all ages participating both times we were there. So WHAT is is made of exactly?!? Basically its a hard textured plastic! While from a distance is actually looks like ice, once you get up close, its clear that is in fact is not. 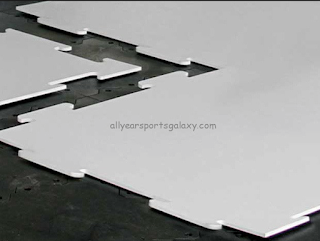 This is image from allsportsgallery.com shows exactly how the rink is constructed, much like a giant puzzle with interlocking pieces. What to wear? I recommend dark colored pants or pants you don't care ever get used again. Falling will likely happen and the knees in the kiddos pants will take a beating. Obviously outerwear to match the weather would also be needed - though we didn't need any when we went because it was nearly 70! Do I need to skate too!?! Nope! the awesome benefit of this synthetic surface is that its not really slippery. Parents can easily walk along with steady feet while holding hands if needed. Heres a little video of how our 5 year old did. Ever search for a gift and feel at a loss? The things in the big box retailers just don't fit the bill? Sometimes that person you are giving to means so much more than a quick grab from a shelf! 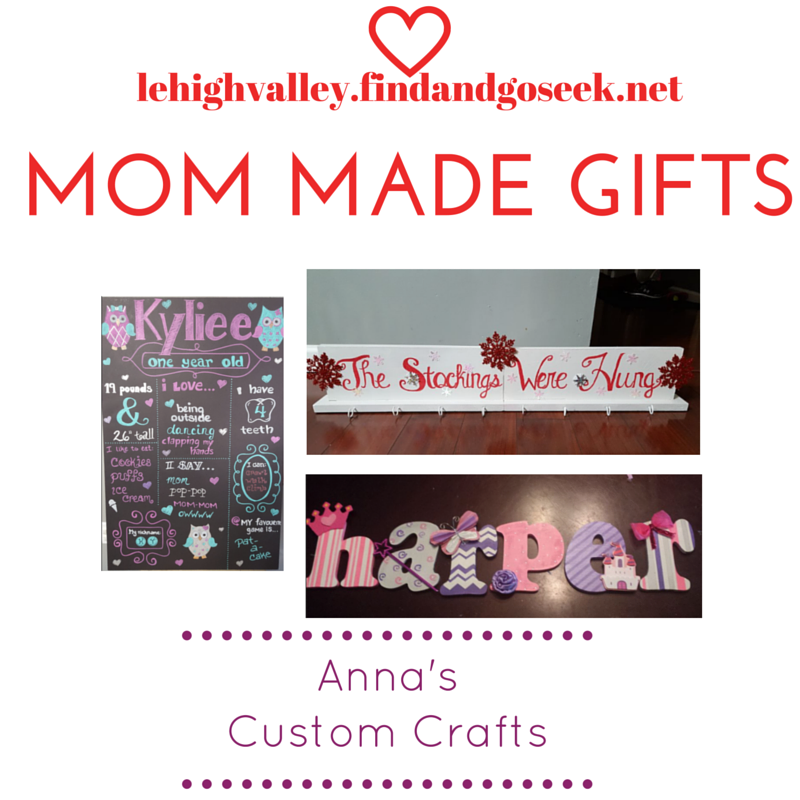 We've teamed up with some extremely talented local artisans for a feature post about some great out of the box gift options made by local Lehigh Valley moms! We have some amazing local artisans who have offered up some amazing (and adorable might I say) had crafted gift ideas which will WOW anyone! Mason J.A.R. 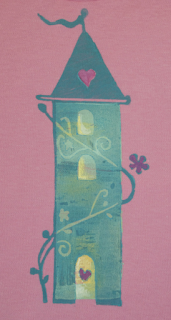 Apparel has been making handmade block print children's clothing since 2011. Their organic T-shirts and bodysuits are sure to melt hearts. Our first Mason J.A.R. 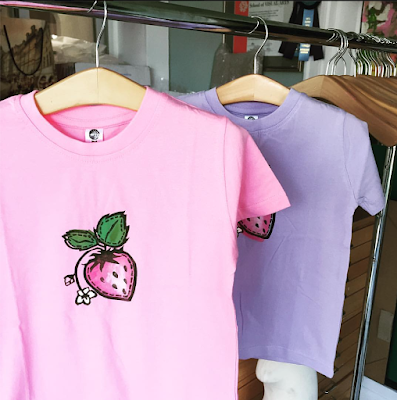 Apparel shirt is carefully tucked away for our youngest to soon grow into and we were thrilled this year to get some new prints done for our older Strawberry loving girlies. Ours (shown below) will be gifts this year so we don't have any model shots since they're being hidden for the next few weeks! Jessica Russell, the owner of Mason J.A.R. 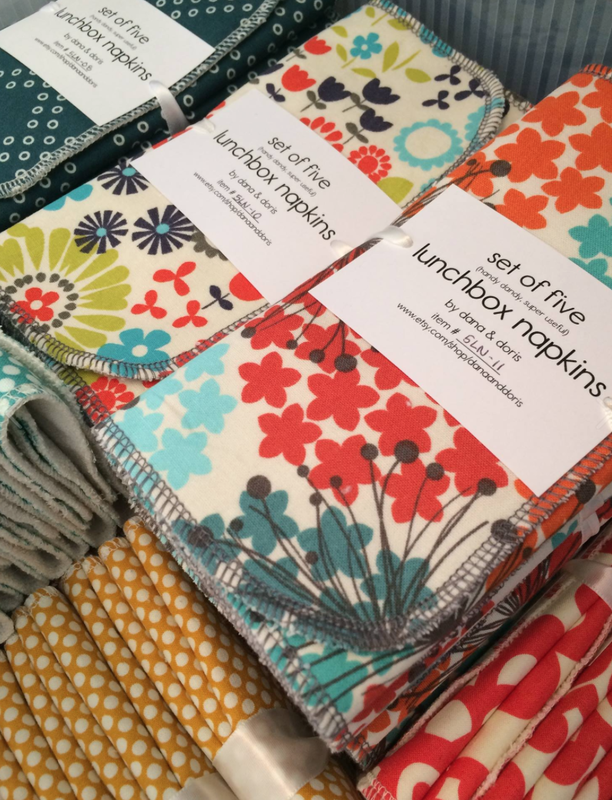 Apparel takes so much pride in her work and each item she makes is carefully handcrafted on organic cotton bodysuits or T-shirts. Check out their amazing prints and custom select your order by choosing your print and bodysuit/t-shirt color. Orders my be placed online at Masonjarapparel.com or check out their Facebook page to follow along for their adorable items and watch for new prints coming out! Follow Mason J.A.R. Apparel on Facebook, Pinterest, and Instagram! Next in our feature is Wish Knits! 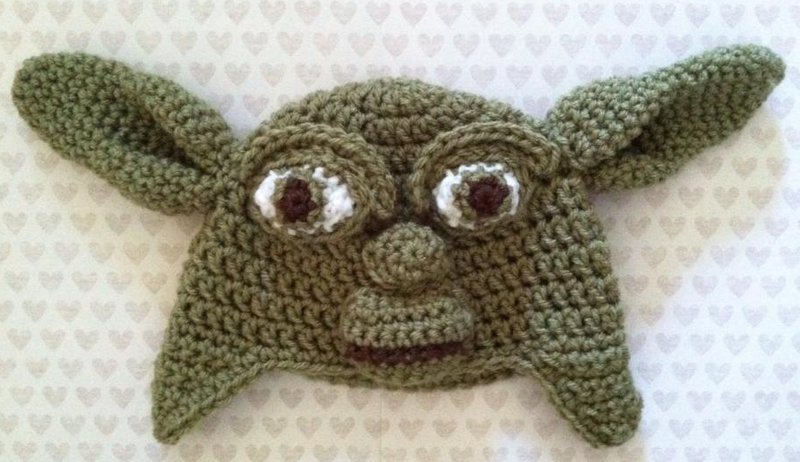 This Lehigh Valley area mom owned knitting business can whip up anything from a cable knit hat to a Yoda hat perfect for that upcoming Star Wars release or a set of coordinating family Christmas stockings. 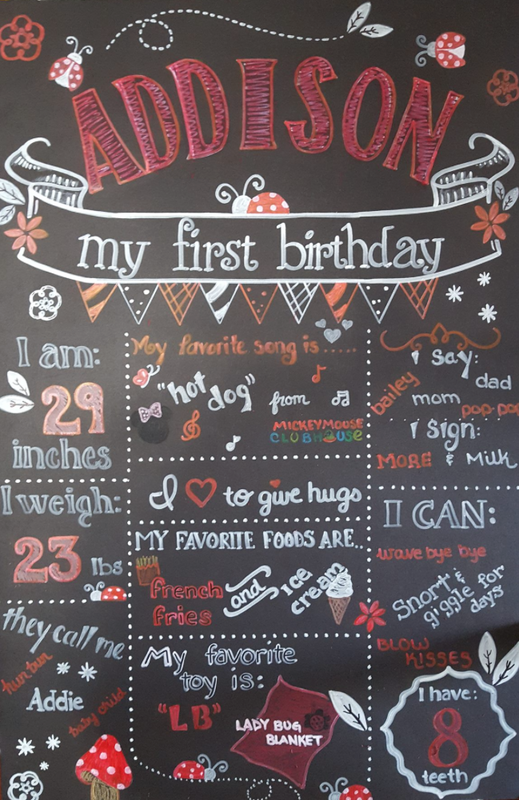 This is so super cute for the soon to be one year old! I'm in love with these adorable winter hats we got from Jessica this season. Her detachable bows and flowers are great and allow for the bows to be moved or worn without when desired. Such an awesome gift for a Jedi in training! 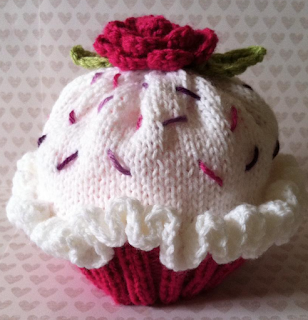 Her Facebook Page is loaded with her projects and samples of her work, If you see something you love let Jessica know! She also has samples of her work and a few items up for immediate shipping on her Etsy page! 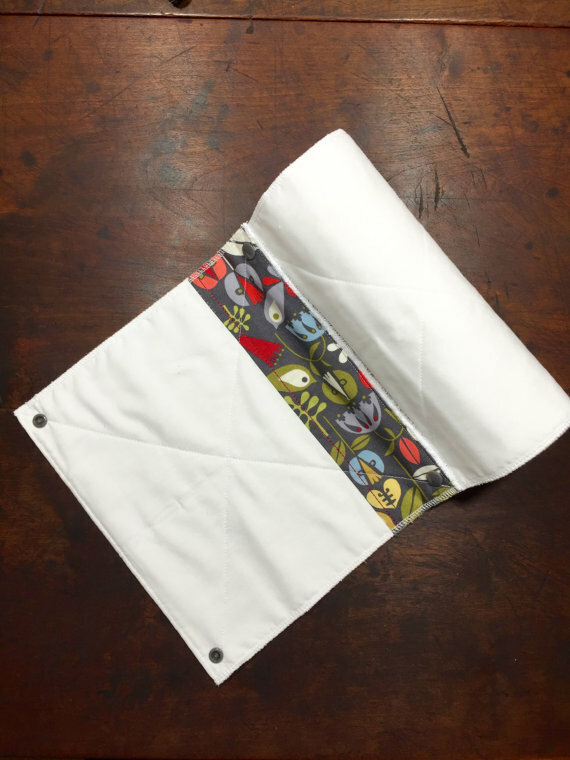 Next we have an adorable option for that eco-conscious friend, sibling or neighbor you have! Martha Olsen of Dana and Doris offers super chic ways to stay environmentally friendly in your home. Find her items on Etsy or check out previews of her items on Facebook and browse her fabric options to custom design cloth napkins, unpaper towels or other eco friendly and budget friendly options that will cut your paper towel bill indefinitely. 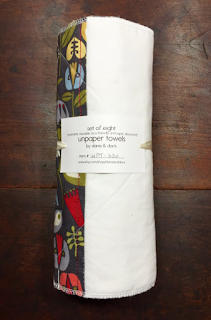 We are thrilled about the new set of unpaper towels we got and with how cute they are you can't beat they will brighten up your kitchen and save you some cash too! Take a look at the detailed photos above and you can see how the "roll" snaps together and can be placed right on to your paper towel holder for easy access. 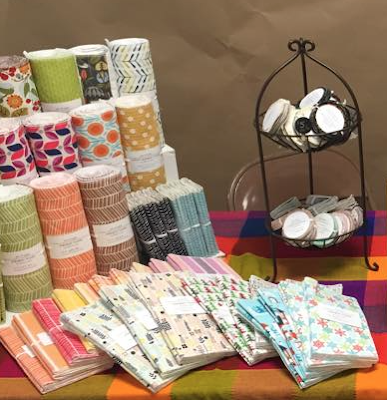 Her adorable fabric choices are available on her Facebook Page there so your can easily choose something to match your décor! to danaanddoris.etsy.com and see whats available. 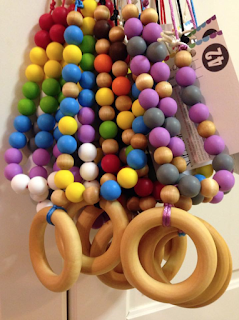 Inspired by a Lehigh Valley mom who was looking for a great baby friendly accessory, Chew 42 designs is making necklace wearing both fun and comfortable for new moms. With a 6 month old who is constantly pulling on just about everything including my necklaces, earrings and hair these necklaces are a Godsend! You can choose something that meets your fashion needs too, from bright and colorful to something simple and chic! 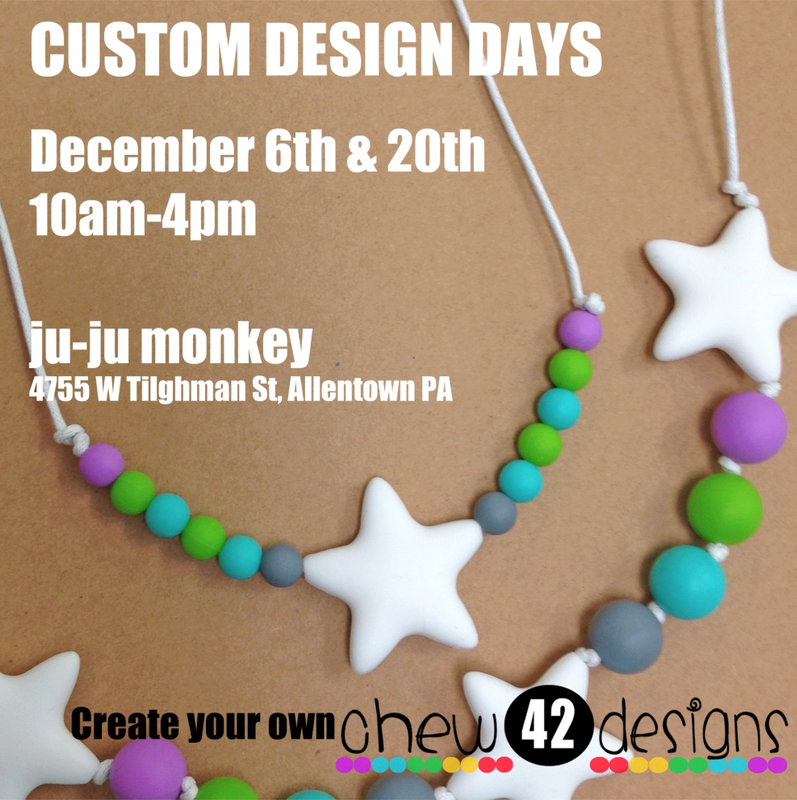 One more Custom Design Day your is coming on December 20th from 10am to 4pm at Ju-Ju Monkey! 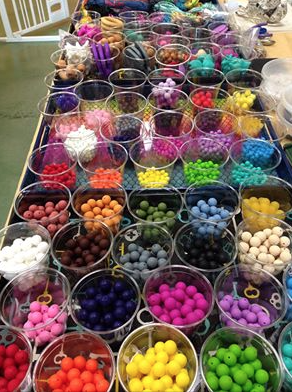 So many Color choices! Design a necklace for your spouse, a mom to be on your gift list or for yourself! The options are endless! 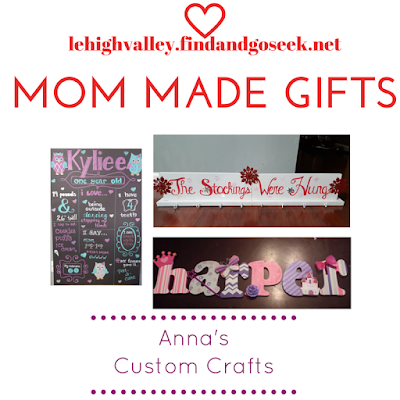 Finally Anna's Custom Crafts is busy cooking up some super cute items this season and year round! 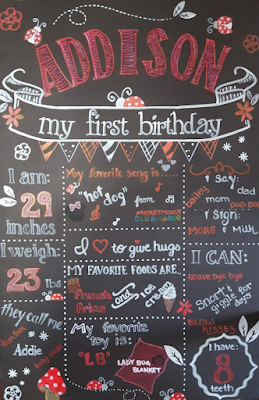 From custom birthday chalk boards to room decor and the sweetest custom growth chart This local crafter is ready to create something just for you! 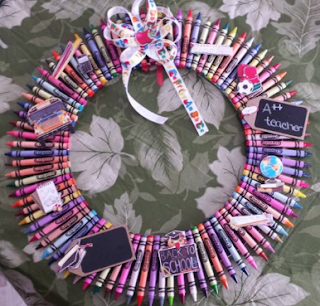 Such A cute teacher gift idea! 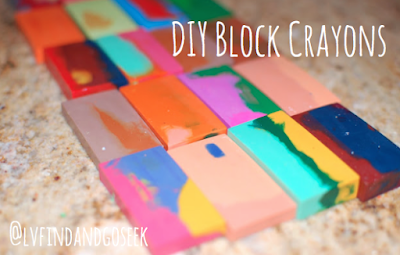 These are adorable and well worth the time you'd spend doing them on your own! These would be a great addition to any little one's room! 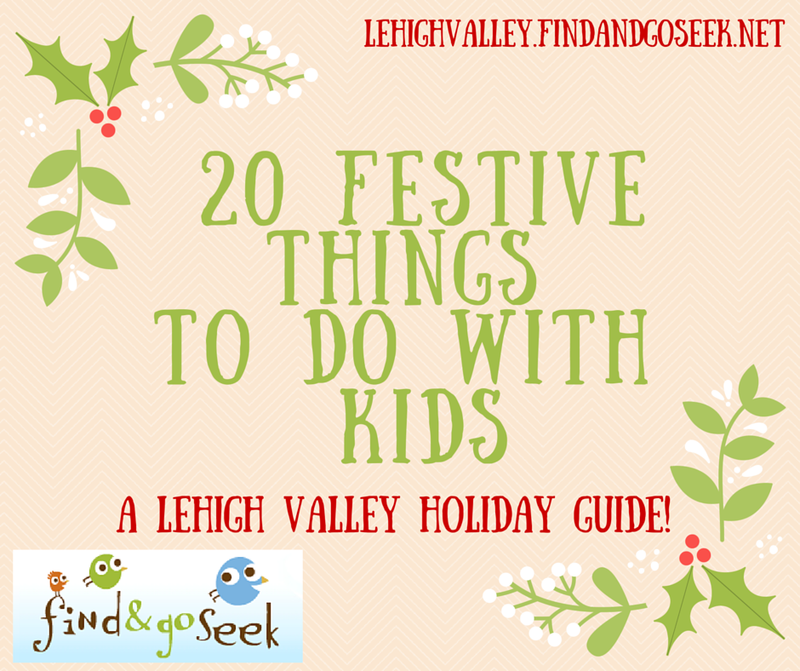 20 things to do with your kids in the Lehigh Valley this holiday season! Visit the Go Guide App on your phone for the map! Their complete article will be shared on 12/19. Surely many of these same locations will be making their electric meter spin again this year! We've been blessed in the Lehigh Valley with lots of great performance companies and theaters that present seasonal performances. Catch A Christmas Carol or a Nutcracker performance! The Wildlands Conservancy is offering a number of great family programs this month! Check out their natural ornament making event, winter bird watching walk and more! It is a Lehigh Valley tradition not to be missed! With 3 shows Monday - Saturday through January 2nd! Theres plenty of opportunity to catch the little guy! Every night in December through Christmas Eve the 1810 Goundie house comes alive with a live advent calendar with a different local personality each night read more by clicking the link above! 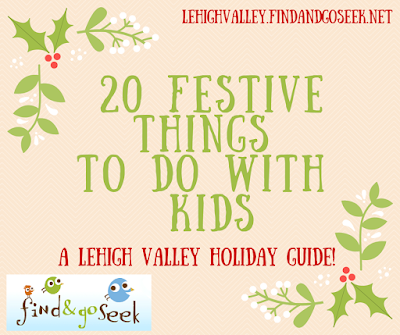 The Lehigh Valley hosts 2 amazing outdoor marketplaces each holiday season. Bundle up and check out some open air markets on the weekend. 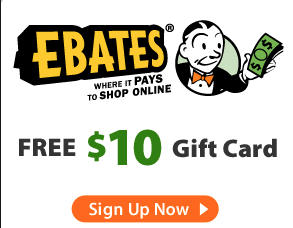 We promise you'll find some great unique gifts! 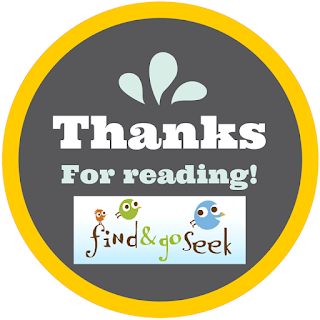 Check out the link above to try a new children's shop or local web-based artisan for a unique gift idea! Break out those ice skates and explore the numerous places in the Lehigh Valley available for ice skating including a few new ones! Yep! You read correctly, you can visit with Live reindeer (and santa too) at Santa's Pit Stop at the Z Arch Barn in Easton! Plus they have pre cut trees and wreaths. Yeah, I know this one is obvious, but in case you were't sure where... Check the link with our list! Visit Donatelocalsimple.com to find lists of items local non-profits are in need of right now, bring them to a local store listed on the website and donate some items you no longer need! You can also find them on Facebook at Donate.Local.Simple for collection ideas and other ways to help our community! Some local towns ( Nazareth, Jim Thorpe, Emmaus and Macungie) will be hosting special weekend Christmas festivals with tons to day for everyone including live performances, kids activities and more. Take a train ride this season with santa himself. multiple rail lines are available within the region! Plan a mini get away at one of the Pocono area indoor water parks and take a break from the chill! The mountains are making snow, learn how to ski or teach the kids! Tubing is always a great adventure with no skills required. A nice throw back to the olden' days! Bundle up and tour the city lights in an open air carriage! This holiday themed train exhibit is a great outing! View all the trains in their festive glory, Children under 12 are free! Roll out the station wagon Clark! Roll Griswold style this year and head out to a farm to chop down the family Christmas tree. As much as we adore every other suggestion on this list sometimes the BEST thing to do around the holidays is enjoy your kids! Appreciate their wonder for the season and do something special at home! Bake your family cookie recipe, let them help wrap (yes, it will look terrible but thats ok!) 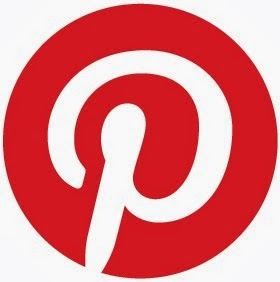 or take a look at our Holiday Road Pinterest board and find a new tradition! 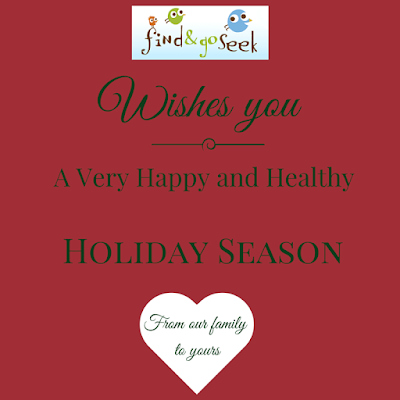 Visit our Winter fun category for a full list of festivities!! 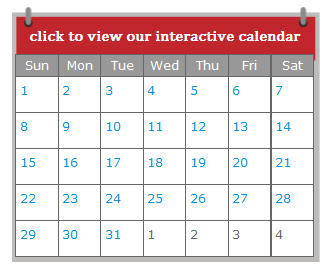 Or browse the calendar to find something going on! !